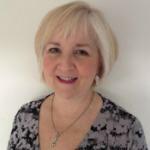 Sally was presented with an FHT Excellence in Practice award in 2012 for researching and developing Reflexology Lymph Drainage (RLD), for the management of secondary lymphoedema in patients affected by treatment for breast cancer. RLD was developed through clinical practice while working in cancer care, using complementary therapies to support people affected by cancer. Patients who received this treatment experienced less discomfort and swelling and an increase in strength and arm mobility. As a pattern began to emerge in patients who received RLD, so did the prospect of measuring the effect of reflexology and in 2010 the RLD protocol was formalised. This coincided with preparation for her final year dissertation as part of a BSc (Hons) in Complementary Therapy, allowing her the opportunity to conduct the initial research into RLD. In 2011, Sally graduated with First Class Honours and won a prize for the best dissertation. The results of her exploratory study were presented at CAMSTRAND 2012. In 2013, on the strength of these initial findings, Welsh cancer charity Tenovus awarded funding for further RLD research to be conducted in partnership with Cardiff Metropolitan University. The intervention phase began in January 2014, and in July 2014 the preliminary data results were presented to the funder.